Bukit Duabelas Nature Reserve is located in the Pauh subdistrict, 60 km from Bangko in the Sarolangun Bangko regency. It covers 28,703 hectares and home to deer, monkeys, bears, wild pigs, elephants, snakes, iguanas and many species of birds. 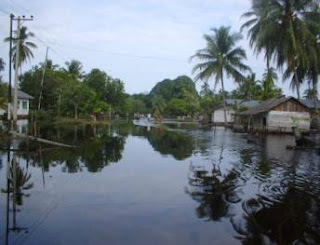 Small lakes are found in its surroundings and many small streams discharge into the Batanghari River. This nature reserve is also home to 1,000 people of the Kubu (Anak Dalam) tribe.